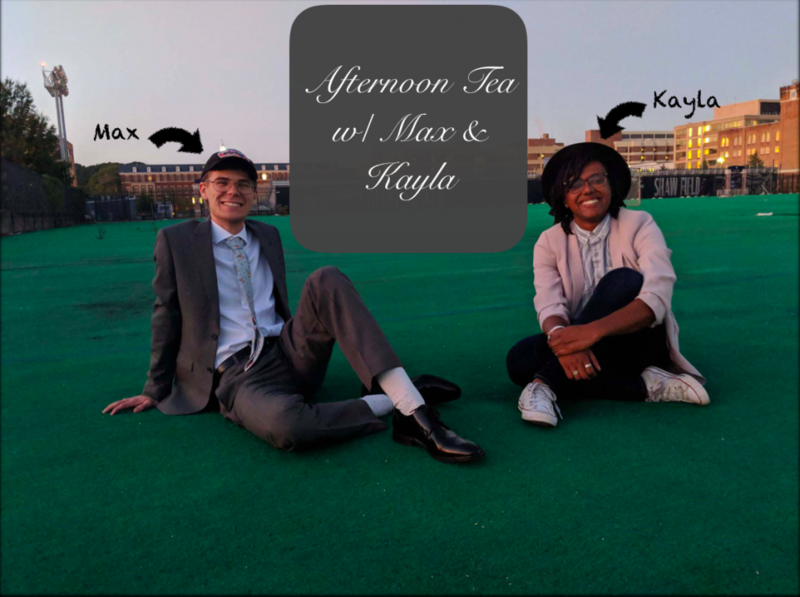 On this episode of Afternoon Tea, Max and Kayla talk about creative culture on campus and what creativity means to them. They even share a couple of their own creations! In this episode, Kayla and Max cover everything from spring break to drag culture, to Christopher Columbus. In this episode Kayla and Max are joined by the lovely and talented hosts of Stripped to discuss friendship dynamics. In this episode, Max and Kayla are joined by their friend Jacob to talk about romance, love languages, and their Valentine’s Day plans. In this episode, Kayla and Max take a break from campus culture to plan their future weddings. In this week’s episode, Kayla and Max sit down with their friend Mariah to discuss the formation of identity at college. In this episode, Kayla and Max bring on special guest Hannah to discuss sexiling, hookup culture, and intimacy at Georgetown. In this episode, Kayla and Max wrap up Season 1 by talking about their Thanksgiving break and the end of the semester. In honor of the Voice’s Fashion Edition, Max and Kayla talk about their own style evolution and roast the fashion of Georgetown students. In this episode, Max and Kayla talk to special guest Ben Ulrich to talk about the queer experience. Disclaimer: Ben’s views are his own and do not necessarily reflect the views of Georgetown University.